It all started with a pair of brothers who worked in a mattress factory, began scientifically deconstructing the mattresses, and then learned to build mattresses of their own. You know… that classic tale. Decades later, the Merwin brothers became bonafide “mattress whisperers” and brought us Brooklyn Bedding. But how did this top-rated bedding brand get to where it is today? And why is it called Brooklyn Bedding when it’s based in Arizona? Well, Sleepopolis sat down with founder John Merwin to get the full scoop. 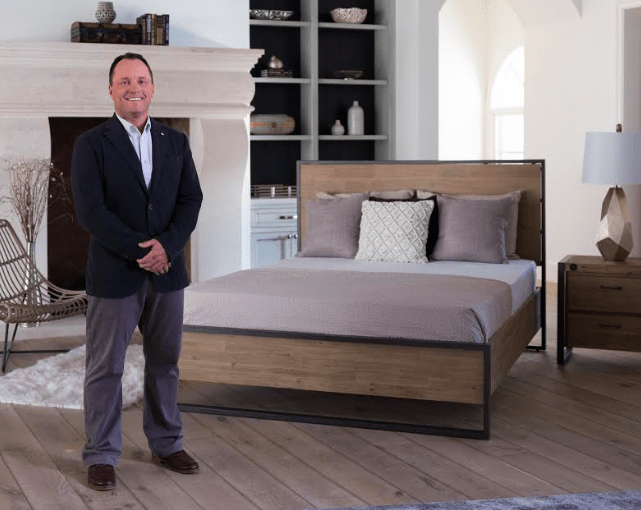 Keep reading to check out my full interview with John Merwin, and be sure to dig into our reviews of a variety of Brooklyn Bedding products! 1.) How did you get into the mattress industry? Who helped get Brooklyn Bedding to where it is today? The early days (1995 to be exact) consisted of a Wonder Bread truck, a Motorolla brick phone, and my brother Rob unloading and selling liquidated mattress at any house in the Phoenix, Arizona valley, day or night. At the time Rob called me to ask for help to grow his business I was a college student in Montana, about to marry my high school sweetheart. School was not going well for me—I agreed to join him, thinking we could always return to Montana if the job in Phoenix didn’t work out. My wife and I lived with her grandma in Phoenix for the first two years of our marriage. My wife jokes that the highlight of her life back then was going to Costco to get a hot dog. We evolved our business slowly, learning every aspect of mattress making and accumulating materials until we were able to produce our own brand. We eventually changed our name to reflect that evolution, naming our company after one of my daughters, Brooklyn. It was my wife’s idea to start selling mattresses online. I had heard the Chinese had developed technology to roll pack a mattress and thought, “How hard can it be?” I found a facility that could flatten the mattress but it took three Chinese men to roll the bed for shipping. That led to a trip to Italy to find a real machine that could do it all. I invested $135,000 to import the first Italian roll pack machine to the United States, really hoping the bed-in-a-box concept would take off here. I sold my first bed-in-a-box in 2008—the venture was so wildly successful, we launched our own website at BrooklynBedding.com shortly afterward. 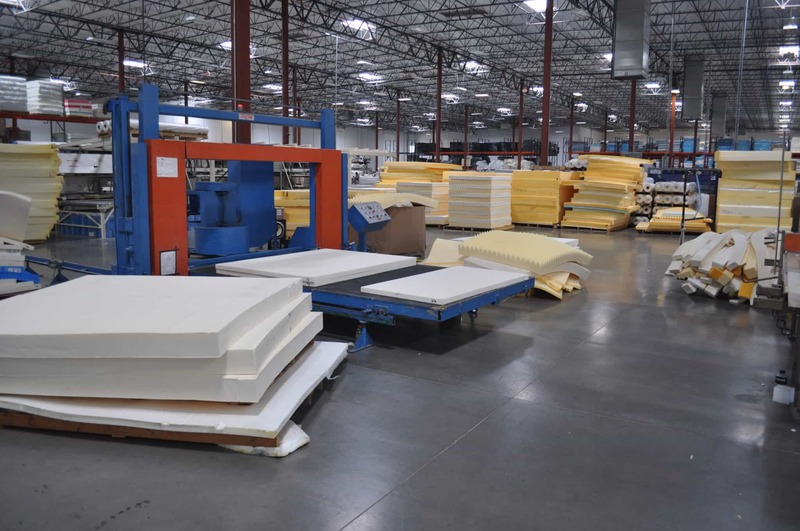 Today, we own our own 145,000 square foot, state-of-the-art factory in Phoenix where we design, construct, roll pack and ship all of our mattresses nationwide. We employ over 200 people at our manufacturing facility and corporate offices but remain a family-owned business. 2.) What is Brooklyn Bedding’s goal with regards to providing a good night’s sleep? Our number one goal is to deliver a luxury sleep experience at an affordable price. We custom craft your sleep solution in our state-of-the-art factory in Phoenix, Arizona and ship it directly to your home, passing on the savings to you. Our mantra is: we own the sleep experience because we own the factory. 3.) 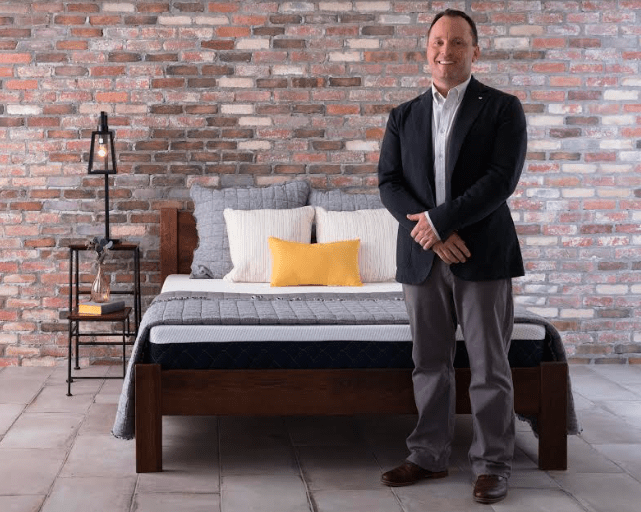 What is unique about what Brooklyn Bedding brings to the industry? First, my brother and I didn’t get into the bedding business to make a quick Internet buck. We started over 20 years ago and learned everything we could about constructing a quality mattress and creating a better sleep experience. That master craftsmanship will always be in our DNA. For instance, one of the most skilled, most physically demanding jobs in our factory is that of a finisher: the last person to stitch together the full mattress. We require our finishers to have at least 10 years of experience—that level of expertise is longer than most online mattress retailers have even been in business. Second, we made a decision early on to own every aspect of production at our U.S.-based factory, allowing us to control quality, materials and cost. End-to-end manufacturing has always empowered us to offer shoppers a fair price on innovation and quality. If you compare Brooklyn Bedding to sleep products of equal quality and luxury elsewhere, you’ll find mattresses sold at double the price of our brands. Last, the idea of pioneering the bed-in-a-box concept in 2008 turned out to be prescient. That decision has allowed us to not only sell mattresses at factory direct prices to consumers, but work with some of the top online retailers in the country to deliver their private label product directly to shoppers. 4.) What innovations do you believe will be the most important to the industry in the next 2 years? It’s no secret that I believe, in the next five years, nearly every single mattress is going to be sold as a bed-in-a-box—it’s just a delivery method. I can deconstruct virtually any mattress now, make a couple of tweaks, compress it and put it in a box. In my opinion, as customers recognize that sleep is more than merely resting, the demand for materials that can increasingly respond to the human body—by energizing, cooling or providing some other needed benefit—will grow. 5. Can we expect anything big coming soon from Brooklyn Bedding? Absolutely, but we think of ourselves as calculated risk takers. Our growth has come responsibly and steadily over the years. We’ve always remained profitable, and we’ve continually re-invested profits in our factory to ensure the highest quality products possible. That pace has put us in a very good position to listen to our customers and adapt to their needs in real time now, quickly bringing new sleep solutions to the market. Our recent launch of the eco-friendly Bloom Hybrid, for instance, was our response to customer demand for natural materials and a healthier night’s sleep. We knew there was strong demand for Talalay latex already—latex was the material used in the first mattress we ever sold on Amazon—but we wanted to plus up that offering for the environmentally conscious customer. We created a quilted cover of Joma Wool™ and organic cotton to increase the plushness and breathability of the mattress, then added recyclable, individually encased coils to enhance pressure point relief. Those are turnkey adjustments for us, but they have had significant impact on sleep quality while lowering the impact on the environment. Despite the recent trends pointing to customization, especially among 25- to 45-year-olds, many customers still believe they have to settle for a one-size-fits-all solution. Those who truly understand mattress construction know that both the order and attributes of each layer matter—meeting a specific sleep need like comfort, cooling and support. Nearly every mattress we sell also comes in at least a soft, medium and firm to let sleepers choose the level that feels right to them. I know there are internet marketers out there who believe it’s better to eliminate options—assuming they’re making it clearer for the customer—but, if shoppers are willing to invest in a mattress, we’re certainly willing to invest in the decision making. We’ve always featured a larger assortment in-store. 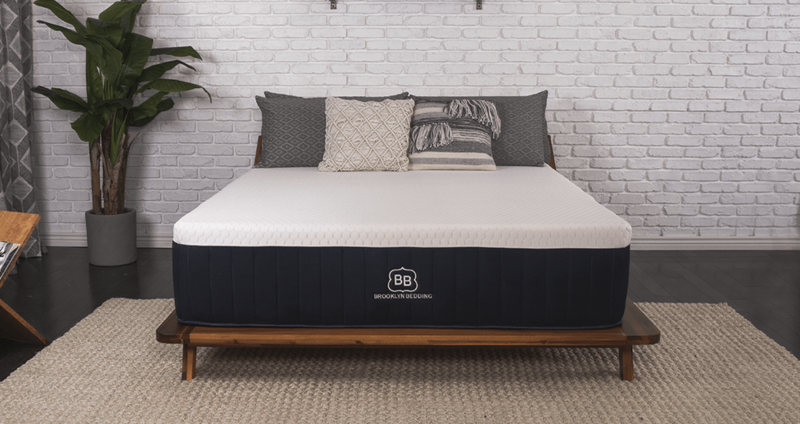 We’ve expanded our assortment at BrooklynBedding.com with intention, clearly communicating the distinguishing features and benefits of each mattress to help customers find their perfect sleep solution. We have dedicated sleep experts with years of experience who are available via chat, phone or email—and, of course, we have sleep experts in our stores whose training is focused on fitting you to the perfect mattress. Customers can get started by completing their sleep profile online, which includes eight questions that help them identify a sleep system based on a number of factors, including sleep preferences and budget. We also offer a section called Sleepology to help cover the basics of buying a mattress. Between our sleep expertise and a free 120-night trial, there is zero risk in shopping for a more personalized sleep solution. We advise customers to look at their sleep environment holistically—as a sleep ecosystem. We’ve written a myriad of blogs at Brooklyn Bedding that point to the effectiveness of less light, a cooler room, noise reduction (including white noise machines) and a wind down routine. Evaluating you and your partner’s sleep compatibility and then figuring out ways to decrease sleep disturbances is very important. Really, other than having two teenage daughters like I do, most sleeplessness can be met with a solution. Once you understand what’s depriving you of a restful night’s sleep, finding the right products is easy. You suffer from night sweats? Advanced cooling technology is for you. You wake up with chronic neck pain? It’s time to look for a new pillow. As mattress manufacturers, we spend a lot of time talking about the sleep surface but accessories—from adjustable bases to the right pillows and sheets—all play a role in getting quality, restorative sleep. View of the foam quadrant at the Brooklyn Bedding mattress factory. This only 1/4th of the total factory size. A big thank you to John Merwin for taking the time to chat with Sleepopolis! For more information on Brooklyn Bedding products, visit brooklynbedding.com.